Stack Test – Stack testing is done on three test samples. The samples are subjected to force that is equivalent to the weight of identical packages stacked to 3 meters. 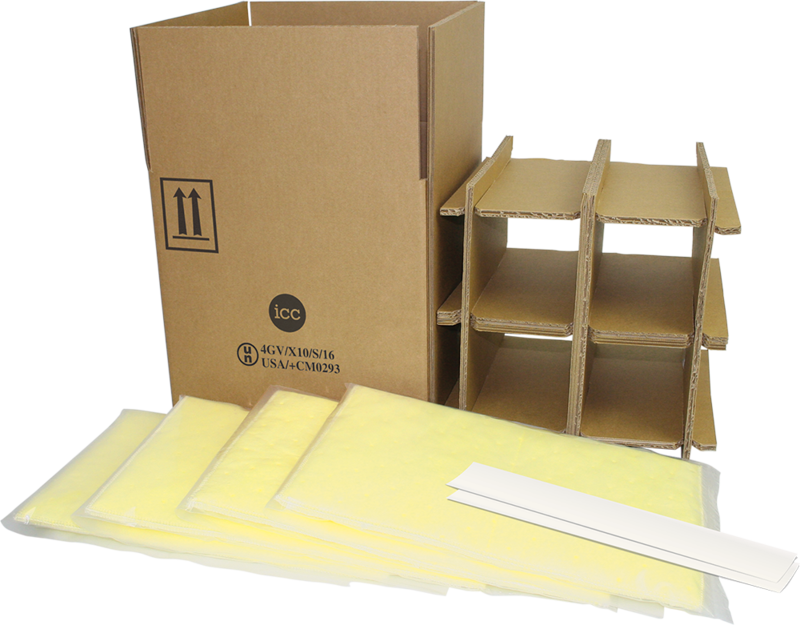 The samples must withstand the weight for 24 hours without leaking or showing any damage or distortion that could reduce its strength or cause instability in stacks during transportation. Puncture Test (required for Category A Infectious Substances Packaging) – Puncture testing is done on two test samples. Depending on the gross weight of the samples, they are either dropped onto a steel cylindrical rod, or have a steel cylindrical rod (weighing at least 7 kg) dropped onto them. Any leakage from the primary receptacle is considered a failure. These tests should be carried out by a qualified technician who follows proper protocols and methods. A polar bear is not required, but they sure do like to test the limits of plastic drums! *Special thanks to Luna, one of the resident polar bears at the Buffalo Zoo for demonstrating how not to test packaging. No polar bears were harmed in the making of this blog … but I can’t say the same for the drum. I didn’t know that dangerous goods were required to pass a lot of tests before being shipped! I am taking a few chemistry labs this semester and always wondered how the chemicals we work with are transferred to our department safely. Now that I’ve read your article, I feel a lot better about the process. Thank you! Emily has over 10 years’ experience in hazardous materials/dangerous goods training and specializes in 49 CFR, IATA, IMDG, TDG, OSHA Hazcom and the GHS regulations. Recently, Emily has taken on the responsibility of overseeing ICC’s packaging department. Emily also assists in the health and safety services department by authoring safety data sheets and creating label text for customers. Her expertise extends to US OSHA Hazcom 1994 and 2012, Canadian Hazardous Products Act/Controlled Products Regulations (WHMIS) and Canada Consumer Chemicals and Container Regulations. Emily is active with the National Association of Chemical Distributors (NACD), recently speaking at ChemEdge along with other industry meetings regarding the Globally Harmonized System (GHS) and OSHA Hazcom 2012.